New York, USA -- When you really look closely at anxiety, depression, fear, anger or stress, you will almost always find recurring patterns of negative thoughts, traumatic memories and habitual emotional reactions. They are our tormentors, the pesky biting insects that annoy us throughout the day. They ambush our consciousness, pull us down and cause stress and emotional suffering. They come uninvited, cause havoc, and we wish that they would go away. If only we could control them, we would certainly have a better chance of controlling our mental state. So how do we do this? 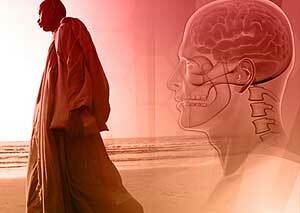 The practice of mindfulness and mindfulness meditation can provide a path forward. The first step of mindfulness practice, and one that can make all the difference, is to fully and completely understand that YOU ARE NOT YOUR THOUGHTS. Thoughts, emotions, in fact any mental content that arises are simply products of conditioning; YOU are much more than this. It is like the ocean and the fish that swim in the ocean. The ocean is not the same as the fish that live in it, and cannot be equated with the contents. The essence of the ocean is as the space that contains these things, not its contents. The same applies to the mind. The essence of the mind is as a container of experience, the ground in which mental objects, thoughts, emotions, beliefs, perceptions and memories can exist. When you realize this, that you are so much more than your thoughts and emotions, then you are well on the way to gaining your freedom and independence from the pesky flies that cause so much stress and suffering. At the end of the day you have a simple choice to make: Do you want to be the ocean in all its vastness and glory, or do you want to be a fish, flapping around in a state of agitation and fear? Learning to be the ocean is a wise choice, and this is something that can be achieved through the practice of mindfulness. With the practice of mindfulness, we begin to get wise, and become more engaged with what is going on in our minds. Mindfulness helps us tune in to this cycle of habitual emotional reactivity. Instead of blindly accepting our impulses to become anxious, to become afraid, to become fish, we learn to actively engage with these reactions. When anxiety thoughts arise, we respond with, "I see you, anxious thought. I welcome you, I will make a space for you to do your dance, I will listen to you with care and attention...but I will NOT become you." You can learn to mindfully greet each emotion, each negative thought, as a visitor who has come to stay for a while, just like visitors in your home. Invite them in, offer them tea and sit with them for a while. You may not like your visitors, but you know the importance of being kind, courteous and hospitable. You cannot get rid of your negative emotions, your depression and fear by force, which is our usual reaction. We don't want to feel our anger or fear; we want to fix them so they won't bother us. But, here's the thing. You can't. Why not? Because you created them. Its like asking a wolf to guard the farmer's chickens. A system that is broken cannot fix itself. What is needed is something altogether more creative, and this is the second step of the practice of mindfulness: Actively turn towards your suffering and work on creating a safe relationship with your fish. When you are mindful, you are by definition not being reactive. The effect of this is to create a space around the emotion. The more mindful you are, the greater the space. The more space there is, the more freedom. Freedom from what? Freedom from the grip of the negative emotion, thought or belief. There is a Zen proverb: What is the best way to control a mad bull? Answer: Place it in a very large field. If there is plenty of space, then the mad bull, or your anxiety, hurt, trauma or depression cannot harm you. Also, what is equally important is that the mad bull can't hurt itself. This is very important, because both of you need the space in which to heal. In my work as a psychotherapist, I never cease to be amazed at how effective mindfulness can be when used correctly. The moment when a client stops running away and turns towards his or her suffering with kindness, full attention and engaged presence, things start to change in a beneficial direction. The healing comes from the quality of the relationship that we have with our pain. It's not about trying to fix things, trying to replace negative thoughts with positive thoughts - it's all about presence. With this quality of listening, based on genuine openness and gentleness, the relationship of mindfulness, solutions appear quite naturally. Peter Strong, PhD is a scientist and Buddhist Psychotherapist, based in Boulder, Colorado, who specializes in the study of mindfulness and its application in Mindfulness Psychotherapy. He uses Mindfulness-based Psychotherapy in combination with NLP to help individuals overcome the root causes of anxiety, depression, phobias, grief and post-traumatic stress (PTSD). He also teaches mindfulness techniques to couples to help them overcome habitual patterns of reactivity and interpersonal conflict. Besides face-to-face therapy sessions, he also offers the ever-popular Online Psychotherapy and Counseling service, in which he teaches clients specific strategies for working with emotional stress through a combination of email correspondence and Skype sessions. Peter also offers teaching seminars to groups, and companies with an interest in stress management. 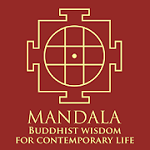 If you want to learn Mindfulness Meditation, we can do that through email correspondence and Skype. Email enquiries welcome. If you have found this article useful and would like to support the work of Dr Strong and Mindfulness Meditation Therapy, please consider making a donation by PayPal by visiting my website. 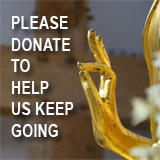 Donation button located under Blog/Articles (http://mindfulnessmeditationtherapy.blogspot.com/2009/07/mindfulness-meditation-therapy-working.html).